Hi....miss you...long time no see ! I know...no updates, for like...forever...me busy...but here's something about BYJ. Korean entertainment firm KEYEAST ― led by hallyu star Bae Yong-joon and home to high-profile actors including Kim Soo-hyun and Kim Hyun-joong ― has established a strategic business partnership with Chinese online services company SOHU.com Inc. to better carry out its activities in the Chinese market. 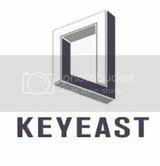 “KEYEAST is forming a strategic partnership by signing a capital transfer agreement with SOHU to speed up its entry into the Chinese market,” the company said Wednesday. Fox Video, a wholly owned subsidiary of SOHU.com, will invest 15 billion won ($14.5 million) in KEYEAST by acquiring 6.4 percent of the Korean firm’s stocks. With the transfer, SOHU.com Inc. will become the second-largest shareholder in the Korean entertainment company after its founder Bae, whose shareholdings will drop from 31 to 29 percent. “SOHU.com Inc. currently carries out activities in China that are well in line with the needs of KEYEAST. Given the many foreseen opportunities for substantial cooperation in various fields, we selected SOHU as our strategic partner,” said KEYEAST. SOHU.com Inc. is a leading Chinese online media, search, gaming, community and mobile service group. It manages the portal site SOHU.com, video service website SOHU TV, online search engine SOGOU, and game development and service firm Changyou. The firm is listed on the U.S. stock exchange NASDAQ and holds an estimated market value of 2.3 trillion won. “The need for an official channel to promote our company’s artists such as Kim Soo-hyun in China aligned well with SOHU.com Inc’s business infrastructure and expertise,” the Korean entertainment agency said.